Sam Ye obtained his PhD from The University of Hong Kong. 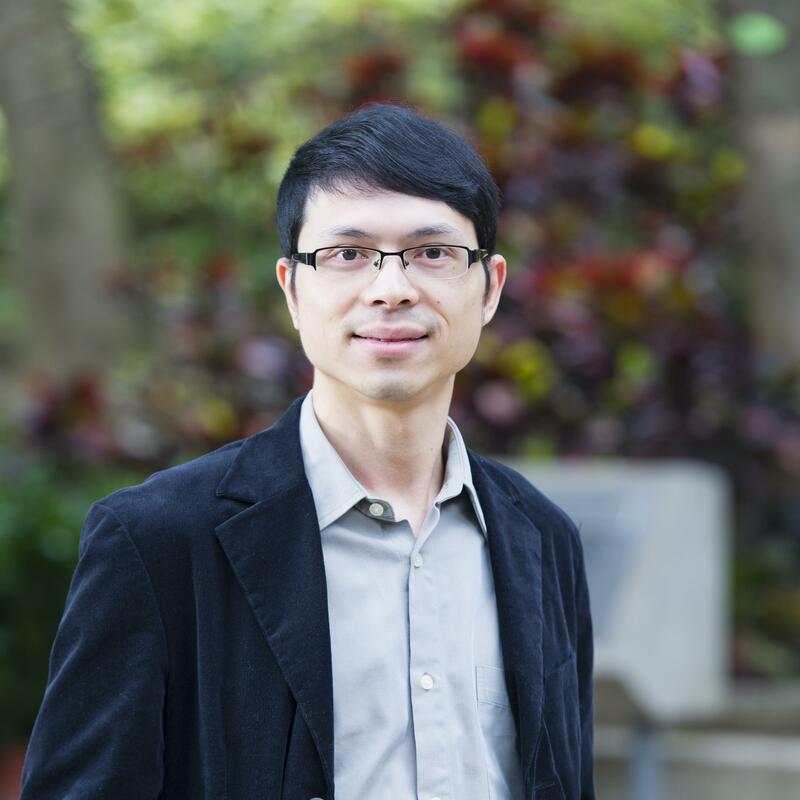 Before joining City University of Hong Kong, he was a Post-doctoral Fellow in The Chinese University of Hong Kong. His research interests include human values, social beliefs, positive psychology, and psychometrics. 2009 “Jung-heun Park Young Scholar Award” Asian Association of Social Psychology. The Role of Value Similarity in the Development of Romantic Relationships: The Processes of Selection and Convergence, General Research Fund (GRF), Research Grants Council (RGC), Amount: HKD $472,600, Jan 2018 - Dec 2020, S. Ye (PI), A. Bardi (Co-I), T. K. Ng (Co-I). An Experimental Study of National Identity among Hong Kong Youth, Public Policy Research (PPR), Central Policy Unit (CPU), Amount: HKD $415,150, 2016 - 2017, S. Ye (PI). Two Ways of Value Change: From Behavioral Inhibition and Activation to Subjective Well-being, General Research Fund (GRF), Research Grants Council (RGC), Amount: HKD $627,000, Jan 2015 - Dec 2017, S. Ye (PI), A. Bardi (Co-I), T. K. Ng (Co-I). Development and Validation of Chinese Proverb Scale, College Research Grant, City University of Hong Kong, Amount: HKD $60,000, 2012 - 2013, S. Ye (PI). The Role of Curiosity in Discovery-Enriched Curriculum (DEC), CityU, Teaching Development Grant (TDG), City University of Hong Kong, Amount: HKD $180,000, 2012 - 2014, S. Ye (PI). University Experiences and Development of Human Values, College Research Grant, City University of Hong Kong, Amount: HKD $69,333, 2012 - 2013, S. Ye (PI). Testing Gender Invariance of Wording Effects with the GHQ-12: A Mean and Covariance Structure (MACS) Analysis, College Research Grant, City University of Hong Kong, Amount: HKD $60,000, 2010 - 2011, S. Ye (PI). Use of Internet and Development of Social Axioms among Chinese University Students: A Longitudinal Study, Start-up Grant, City University of Hong Kong, Amount: HKD $100,000, 2010 - 2012, S. Ye (PI). Ye, S. (2005). Measuring Coping: Should We Specify a Stressor?. K. R. Katyal, H. C. Lam & X. Ding (Eds. ), Research Studies in Education (Vol. 3). (pp. 83 - 92). Hong Kong SAR. Faculty of Education, The University of Hong Kong. 2017 - Now, Program Leader, MSocSc in Applied Psychology. 2017 - Now, Program Leader, MSocSc in Psychology. 2014 - 2016, DEC Coordinator, Discovery-enriched Curriculum. 2012 - 2017, Internship Coordinator, Bachelor of Social Sciences in Psychology. 2017 - Now, PhD student, MA Zewei Mac. 2015 - 2017, MPhil student, MA Zewei Mac. 2010 - 2013, PhD student, NG Ting-Kin. 2016 - Now, SS3716 Multivariate Analysis for Psychological Research. 2016, SS5797 Advanced Research Methods in Psychology. 2012 - 2013, GE2203 Psychology for Young Professionals. 2012 - Now, SS3708 Design & Analysis in Psychological Research II. 2012 - Now, SS5759 Educational Assessment and Evaluation. 2011 - Now, SS3707 Design & Analysis in Psychological Research I. 2010, SS2602 Practical Psychology for Everyday Life I. 2010 - 2013, SS5795 Multivariate Statistics for Psychology. 2009 - Now, SS3710 Psychology of Childhood & Adolescence.